LIGHT UP YOUR GOLF CART WITH BOOGEY LIGHTS®! We offer a number of LED light kits that will work for any brand of golf cart - electric or gas powered. These kits are easy to install and will make your golf cart stand out while cruising the neighborhood, the camp ground or the next race weekend. Choose from our Single and Multi Color kits. 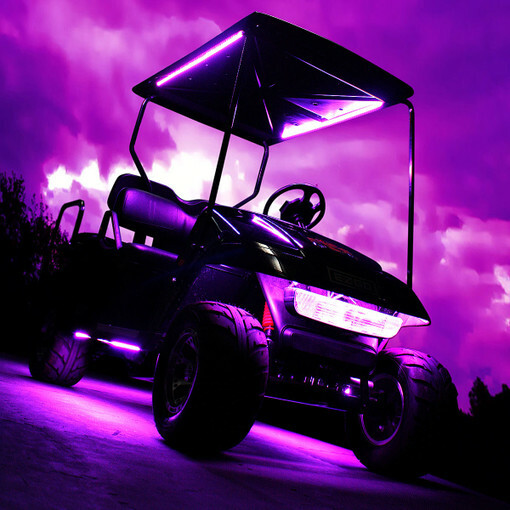 We offer both UNDER-GLOW and CANOPY LED light kits made specifically for Golf Carts. And if you need more lights - perhaps for under-neath the seat or under the rear seat - we offer LED ADD-ON kits too. 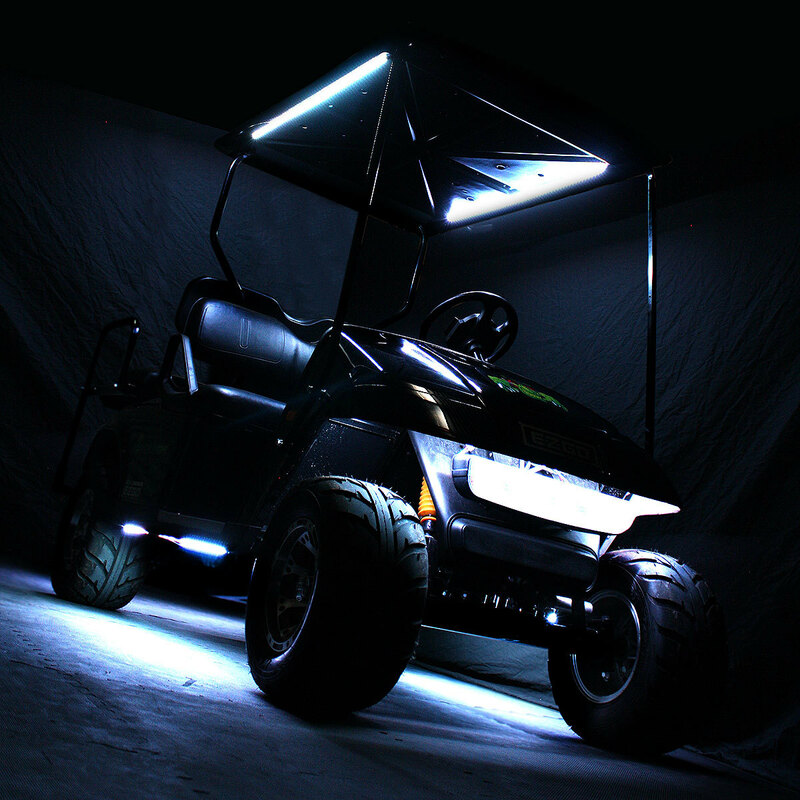 Our Golf Cart LED lighting kits include everything you need to light up your Golf Cart! We also offer a number of controller options. Our GOLF CART LED KITS can be controlled with a simple push-button switch, a handy wireless remote or even using your Bluetooth Smartphone! All Boogey Lights® LED light kits are designed, assembled and supported in the USA!